The hCH one step pregnancy test device (urine) is a rapid chromatographic immunoassay for the qualitive detection of human chorionic gonadotropin in urine to aid the early detection of pregnancy. The measurement of Ferritin in serum is useful in determining changes in body iron storage, and is non-invasive with relatively little patient discomfort. Serum Ferritin levels can be measured routinely and are particularly useful in the early detection of iron- deficiency anemia in apparently healthy people. Serum Ferritin measurements are also clinically significant in the monitoring of the iron status of pregnant women, blood donors, and renal dialysis patients. 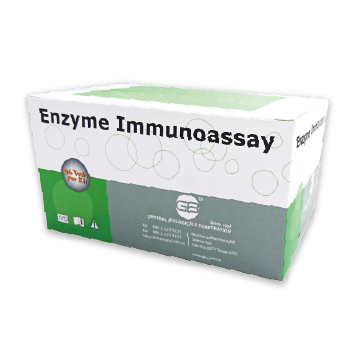 The HGH Human ELISA Kit is designed to quantify protein levels of human HGH in serum and plasma. Human growth hormone (HGH) acts to indirectly induce growth on target tissues. For the quantitative determination of Immunoglobulin E (IgE) concentration in human serum. Helicobacter pylori IgG Test Kit is intended for use in evaluating the serologic status to H. pylori infection in patients with gastrointestinal symptoms.